Rams are in throwbacks, which look nice. However, why do this against another team with yellow pants (GB) ?!? Also Pittsburgh's italicized numbers are way better - they add a classy uniqueness without being cheesy. There is a LOT of yellow on the tv, but it does look like a great uniform match-up. That field is a hot dumpster fire though. 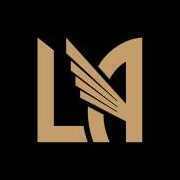 Favourite Logos:Cowboys, Lakers, LAFC and Rams. It’s their home uniform now. They would wear it if they made the Super Bowl this year. No they weren't. The Patriots were the home team last year and chose to wear white. NFC is the home team this year. I stand corrected, I don't remember the Patriots being the home team and deciding to wear their white road jerseys last year. Rams have worn white during their three previous Super Bowl appearances, but they’re 1-2 (with the only win coming before the navy and vegas gold rebrand). Can’t imagine they’d purposely choose wear the mismatched road uniform over the gorgeous home set. Color rush Saints vs home Vikings hard to beat for game of the week aesthetically. Why don’t Jags go teal primary so they can wear their home jerseys in the heat? Wear black in primetime or late in the season. Do an all black, black on white, and black on teal for the alternate games (probably do one of them on the road at some point maybe?). Correct me here, Jaguars fans. Is the black-as-primary-dark-uniform requested by Mr. Khan? Ever since he purchased the team from Mr. Weaver, the Jaguars have been wearing black as the primary dark uniforms. I thought so too, but he was mainly obsessed with gold (hence their atrocious CR unis). I think he's finally opened up to the fact that the teal is *far* more popular than the black, and that means more money for him. Truth be told, I feel the only "black" teams in the NFL should be the Steelers, Raiders, Panthers, and Saints - the Ravens, Bengals, Falcons, and Jags should have black as a secondary. So.. would you rather see them just wear their weird whites instead? Mind you, they’re gonna be allowed to wear the throwbacks a lot down the stretch, so I’ll take this fun colorful matchup for what it is. Definitely no missed opportunities. I believe it is Khan’s choice and his alone. I really think he just doesn’t like teal, which is very annoying. It’s hard to imagine there’s another soul in the building that supports the choice as much as he does; at the official unveiling, the simple fact that black was the designated home uniform was tacked on as an afterthought amidst the pro-teal rallying. They really seem to avoid talking about the issue and just cram teal stuff in our faces as much as they can. That is, of course, until game day when they quietly trot out the gate wearing plain ol’ black. Sheesh. I don’t think I’ve ever seen a field as bad as the Rams one yesterday. Was it like that for the USC game too, but with Rams stuff faded out? I think a great tweak to the Jags would be to extend the little stripe on the cuff of the pants all the way around. It really breaks up the form when the pants and socks are the same color. They said during the broadcast that due to fog/dew, the field was too wet to properly hold the paint.